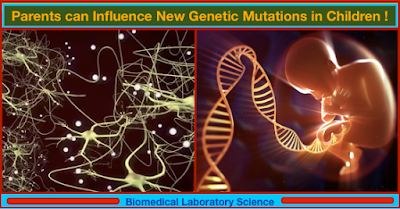 Parents can Influence New Genetic Mutations in Children ! A new study has investigated how mothers and fathers cause new genetic mutations in their children, and how some of these mutations may lead to negative outcomes. 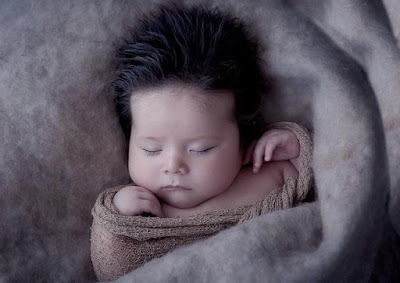 Characteristics that we inherit from our parents - starting with very basic features such as eye color or hair texture - shape not just our identity, but also the state of our health, both earlier and later in life. 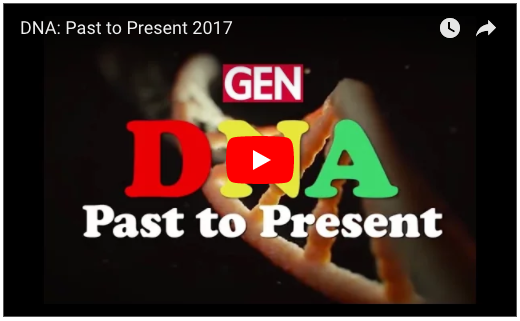 That being the case, the study of genetics has become central to understanding who and what we are, as well as how our bodies are likely to develop in time, and how we might respond to internal or external factors. For instance, recent studies have revealed the importance of genetic factors to conditions including Alzheimer's disease, brain cancer, and diabetes. Given the importance of understanding the role of genetic factors to our health profile, scientists are constantly striving to decipher the mysteries of the human genome. new genetic mutations in the offspring. Read more: How do parents influence new genetic mutations in children? Middle-age Women can Choose Pap smear or HPV Test for Cancer Screening ! Middle-aged women can choose which test to undergo for cervical cancer screening, according to a draft recommendation from an influential group backed by the U.S. government. Women ages 30 to 65 can choose to receive a Pap test every three years or a human papillomavirus (HPV) test every five years, according to the U.S. Preventive Services Task Force (USPSTF). The group did not previously recommend HPV testing without a Pap test. "Women and providers should continue to recognize that cervical cancer is a serious disease that can be prevented," said Dr. Maureen Phipps, a member of the USPTF. "Women who can be identified early through screening can have effective treatment for cervical cancer and go on to lead robust lives," said Phipps, who is also chair of obstetrics and gynecology at the Warren Alpert Medical School of Brown University in Providence, Rhode Island. Cervical cancer was once a leading cause of cancer death for women in the U.S., but the death rate has been cut in half thanks mostly to screening, according to the American Cancer Society (ACS). 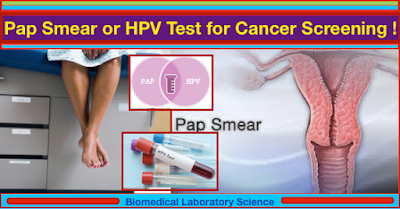 Read more: Middle-age Women can Choose Pap smear or HPV Test for Cancer Screening ! 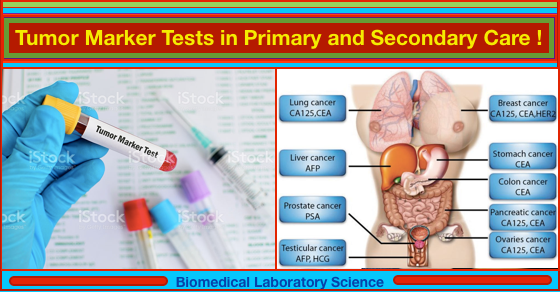 Tumor Marker Tests Overused in Primary and Secondary Care ! A tumor marker is a biomarker found in blood, urine, or body tissues that can be elevated by the presence of one or more types of cancer. The vast majority of tumor marker tests in primary and secondary care may not be necessary as the tests assisted with a cancer diagnosis in just 2% of patients. Tumor markers are molecules, which may be present in higher than usual concentrations in the tissue, serum or other body fluids of patients with cancer. There are many different tumor markers, each indicative of a particular disease process, and they are used in oncology to help detect the presence of cancer. A tumor marker can be used to aid diagnosis in specific situations but testing for more than one marker is not recommended. Scientists at South West Wales Cancer Centre (Cardiff, UK) examined the number of multiple tumor marker requests from primary and secondary care over a six-month period within Abertawe Bro Morgannwg University Health Board (Bagain, Neath Port Talbot, Wales). Multiple requests were defined as more than one tumors marker for a patient in a two-week period. The team looked at how many patients with multiple tumor markers measured were subsequently diagnosed with cancer, and whether the markers assisted with the diagnosis. Read more: Tumor Marker Tests Overused in Primary and Secondary Care ! Diabetes, or diabetes mellitus (DM), is a metabolic disorder in which the body cannot properly store and use sugar. It affects the body's ability to use glucose, a type of sugar found in the blood, as fuel. This happens because the body does not produce enough insulin, or the cells do not correctly respond to insulin to use glucose as energy. 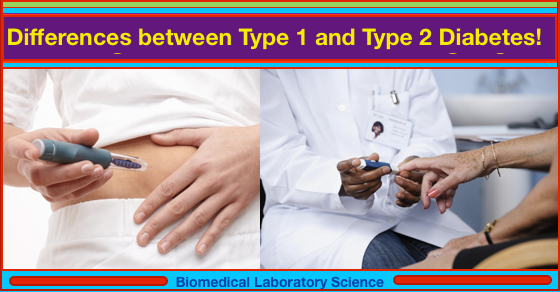 a patient for diabetes, even if type 2 diabetes shows no symptoms. Read more: Differences between Type 1 and Type 2 Diabetes. Experts Pinpoint Why So Many Americans Are Both Obese And Malnourished ! According to a comprehensive new report from the Food and Agriculture Organization of the United Nations, one in 10 of the world's 7.5 billion inhabitants is obese. At the same time, rates of people who are starving or malnourished is on the rise. 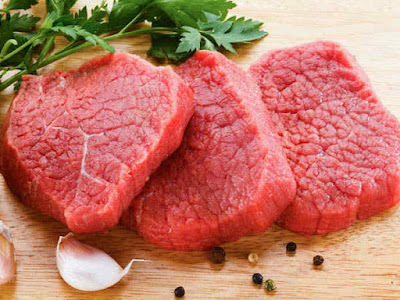 According to Business Insider, nutritionists and public health experts say both issues can be traced to our diet. Today, food that is more highly processed and calorie-dense is available worldwide. And it's relatively cheap, too. Read more: Experts Pinpoint Why So Many Americans Are Both Obese And Malnourished ! National DNA Day is not only a celebration of the structure and sequence of the double-helix, but also the tireless commitment of researchers to understand the complexities of our genetic blueprint. As we revel in all things DNA, the GEN editorial staff has assembled a brief video timeline highlighting significant dates in DNA discovery. 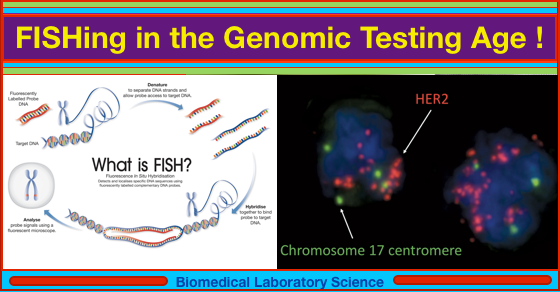 FISHing in the Genomic Testing Age ! Genetic analysis has come a long way; we now have an ever-expanding collection of analytical tools in the diagnostic laboratory. So why do we still need a technique that usually only looks at one or two loci? The simple answer is that results from fluorescence in-situ hybridization (FISH) can quickly confirm diagnoses, guide clinicians’ judgements regarding differential diagnoses, and correlate results with clinical risk—thus enabling an informed choice of treatment type and intensity. FISH employs fluorescently-labeled DNA probes to bind complementary DNA sequences within an interphase cell, or onto metaphase chromosomes. These sequences can then be visualized using fluorescent microscopy. The number, location and relative positions of the probe signals indicate chromosomal changes in a particular cell (Figure 1). Many clinical trials use cytogenetic and FISH data to stratify patients according to specific risk factors. FISH is often used as a stand-alone technique for investigating abnormalities and following-up such patients, which, alongside its relatively low expense, makes it a very convenient investigative tool. 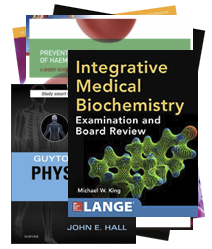 In this article we will explore the utility of FISH in today’s clinical laboratory and the future of the technique in the evolution of molecular testing. Figure 1. The FISH process. Figure 2. Interphase cell showing amplified HER2 signal pattern. Read more: FISHing in the Genomic Testing Age ! 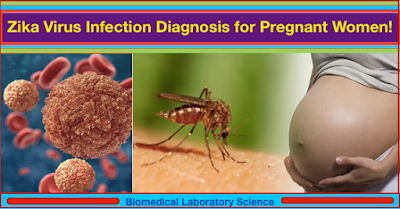 Improving Diagnosis of Zika Virus Infection for Pregnant Women ! Mosquito-borne Zika virus (ZIKV) was the cause of the recent large outbreak of Zika disease in America. Despite fever, Zika is a mild disease, although epidemics in recent years have demonstrated an association with the appearance of severe congenital malformations (microcephaly). Owing to ZIKV serology cross-reactivity with other tropical flaviviruses, the final diagnosis relies on nucleic acid amplification. Pregnant women in endemic areas should be investigated to follow infection and sequelae. Zika virus (ZIKV) belongs to the Flavivirus genus and is related to other viruses that are also transmitted by the bite of mosquitoes, such as dengue virus (DENV), yellow fever virus (YFV) and West Nile virus (WNV). The Flaviviridae family comprises single-strand RNA, membrane-enveloped viruses that frequently use Aedes aegypti as a vector. Despite ZIKV being discovered over 60 years ago, only since 2014 (in the French Polynesia Islands) and 2015 (Brazil and America) has it been evident that the virus can cause large outbreaks and epidemics that lead to a global public health emergency. Read more: Improving Diagnosis of Zika Virus Infection for Pregnant Women ! High-Sensitivity Assays for Troponin in Patients with Cardiac Disease ! Troponin is a widely used biomarker in patients with cardiac disease. The use of troponin is well established in patients with suspected acute myocardial infarction (AMI), but troponin measurement is also used in other acute and nonacute settings. In patients with suspected AMI, early decision-making is crucial to allow rapid treatment and further diagnostic evaluation. Current guidelines recommend serial measurements of troponin with a cut-off concentration at the 99th percentile to triage patients in the emergency department. Newer, high-sensitivity assays for troponin enable the detection of distinctly lower concentrations. Using these assays and very low cut-off concentrations, several rapid diagnostic strategies have been reported to improve diagnosis in acute cardiac care. Furthermore, noncoronary and non-acute applications of troponin assays — for example as a biomarker in patients with heart failure, pulmonary embolism, or stable coronary artery disease — are on the horizon and might improve individual risk stratification. 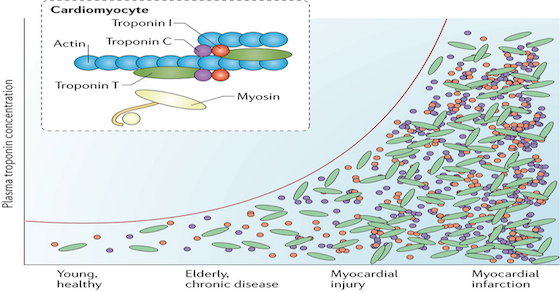 In this Review, we provide an overview on the development of high-sensitivity assays for troponin, and their application in patients with cardiac disease. myocardial injury, and myocardial infarction). Read more: High-Sensitivity Assays for Troponin in Patients with Cardiac Disease ! An experimental test that relies on an old-fashioned screening exam — the pap smear — may someday allow doctors to easily detect birth defects sooner than ever. On Tuesday, Wayne State University (WSU) researchers revealed the latest encouraging findings on their creation, called “Trophoblast Retrieval and Isolation from the Cervix,” or TRIC for short. Using a pap smear, they scraped trophoblasts — the cells that eventually help form a fetus’ placenta — from pregnant women’s cervixes and genetically sequenced the fetal DNA found inside with next generation technology. They then compared these samples to those obtained from the mother, placenta, and fetus via conventional means. Not only were the TRIC samples mostly made out of fetal DNA, indicating the low risk of contamination, but they matched up perfectly with the other fetal samples, validating the test’s overall accuracy. Even more importantly, the samples were taken as early as 5 weeks into pregnancy, blowing past the limit of other, invasive screening tests, such as amniocentesis, which can only be given starting at the end of the first trimester, 14 to 16 weeks in. as early as five weeks into pregnancy. Pneumonitis: Symptoms, Causes, and Treatments. Pneumonitis is a disorder where a person has an allergic reaction in their lungs caused by certain inhaled substances. The condition is also referred to as hypersensitivity pneumonitis. The reaction they have to these substances can cause air sacs in one or both lungs to become inflamed. If untreated, the condition can cause long-term damage to the lungs. However, pneumonitis can be completely reversed if action is taken quickly. In this article, we take a look at the symptoms, causes, and treatments of pneumonitis. We also examine the differences between the condition and the more familiar pneumonia. in the lungs, and coughing. Read more: Pneumonitis: Symptoms, Causes, and Treatments. Serum Level Measurements Improve Disease Risk Prediction. 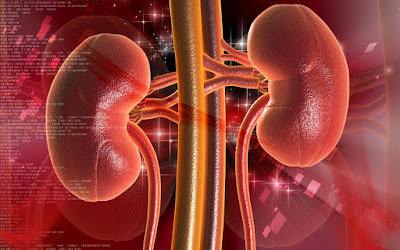 Results obtained by using a commercially available uromodulin ELISA kit to analyze serum samples from individuals at risk for heart and circulatory system diseases indicated that this kidney-specific protein is a biomarker not only for kidney disease but also for cardiovascular diseases. The glycoprotein uromodulin, also known as Tamm-Horsfall protein (THP), is synthesized exclusively in the kidneys and subsequently secreted. Low uromodulin concentrations in serum are a sensitive indicator for a loss of kidney function and thus play a role in the diagnosis of various renal diseases (nephropathies). When renal function is impaired, the uromodulin concentration in the serum sinks rapidly. Therefore, renal functional disorders can be identified at a very early stage of kidney damage, even in cases with few symptoms. Uromodulin -a biomarker not only for kidney disease but also for cardiovascular diseases. Read more: Serum Level Measurements Improve Disease Risk Prediction.